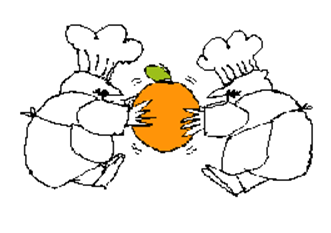 There was once only one orange left in a kitchen and two prominent chefs were fighting over it. “I need that orange !” “Yes, but I need that orange as well !” Time was running out and they both needed an orange to finish their particular recipes for the President’s dinner. They decided on a compromise: they grabbed one of the large kitchen knives that was lying around, split the orange in half, and each went to his corner to finish preparing his meal. One chef squeezed the juice from the orange and poured it into the special sauce he was making. It wasn’t quite enough, but it would have to do. The other grated the peel and stirred the scrapings into the batter for his famous cake. He too didn’t have as much as he would have liked, but given the situation, what else could he have done ? 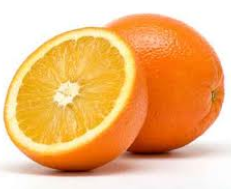 The better solution may seem obvious to you now: both chefs would have been better off if they had peeled the orange and had simply taken the part they needed. Instead, the chefs had focused on each other’s position (the what) and not on each other’s interest (the why). In a negotiation (or in any working relationship where the agenda’s don’t 100% align), it is important to be able to distinguish between positions and interests – both yours and the parties’ with whom you are negotiating. Depending on which one you decide to focus on will affect your negotiation style and influence the outcomes. Useful Tip: It is always good to ask yourself why you want what you want. This will help you get a better understanding of what your real goals are and could open up better options for you. Wanting more collaborative relationships with stakeholders? We have developed a half day workshop entitled ‘Stakeholder engagement through collaboration’ that can be run with general staff or within an intact team. Click here to find out more! ← Don’t scoff … the power of journaling!